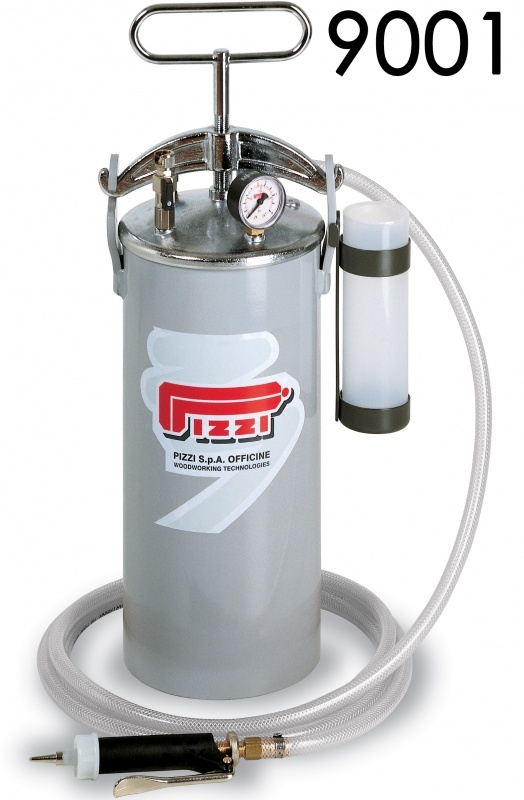 Pizzi PVA Glue Applicator Tanks are built for efficient gluing of dowels, dados, edges, and more to meet your specific gluing needs. Upgrade your PVA gluing operation with our tanks and glue boards faster and experience improved quality and bonding thanks to even glue spreading. Check out our wide variety of compatible nozzles that match your PVA gluing needs. 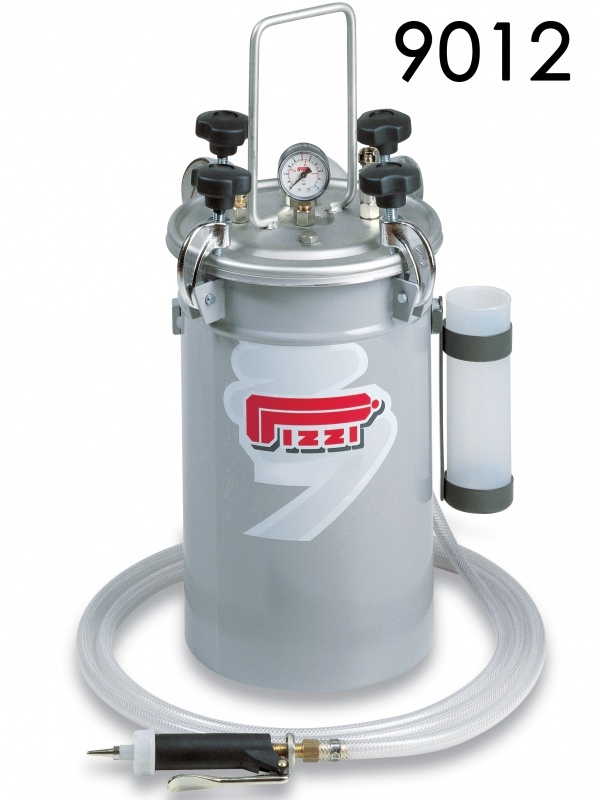 Get rid of your glue bottle and improve your PVA gluing efficiency with our durable PVA Glue Applicator Tanks. These glue applicator tanks come standard with 1 gun, but additional hoses and guns can be added as all of these models are capable of running 2 guns simultaneously. Available in standard steel or stainless steel depending on the model. 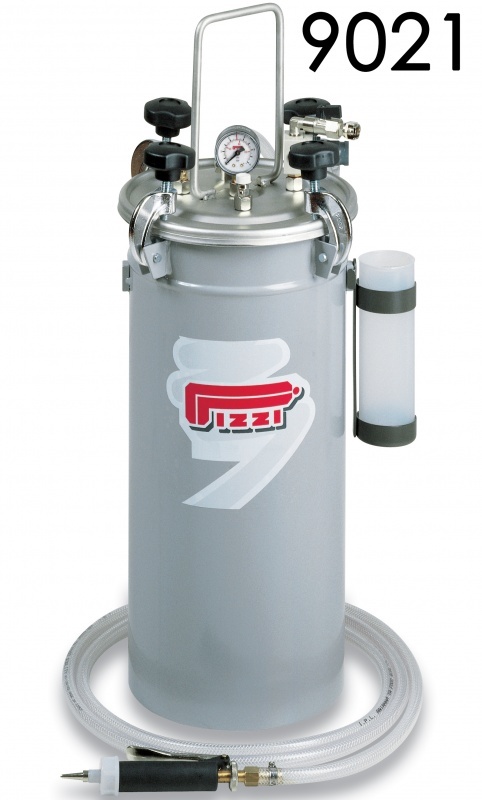 Stainless steel improves resistance to corrosion of the tank. 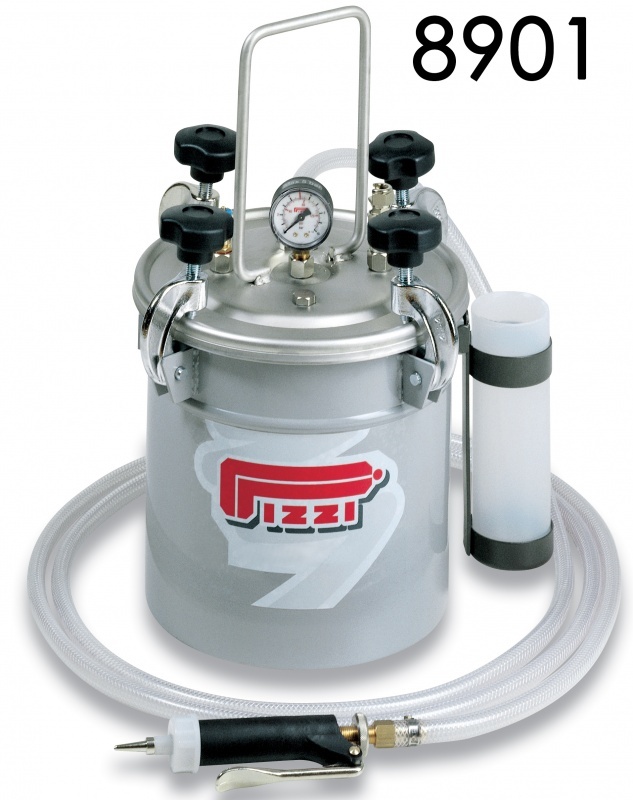 9021: 5 Gallon Stainless Steel PVA Glue Applicator Tank - The largest glue tank in the Pizzi lineup for longer runs. Add an additional gun and hose to allow for two operators at once.